All Walnut homes currently listed for sale in Walnut as of 04/21/2019 are shown below. You can change the search criteria at any time by pressing the 'Change Search' button below. If you have any questions or you would like more information about any Walnut homes for sale or other Walnut real estate, please contact us and one of our knowledgeable Walnut REALTORS® would be pleased to assist you. "ReBuilt Completed on 2012! NEVER LIVED IN! 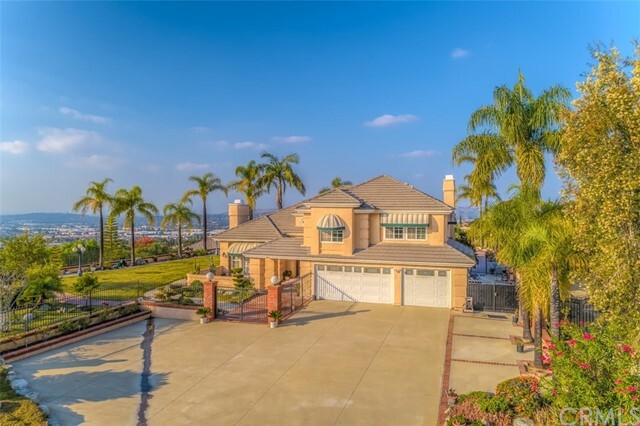 BE THE FIRST~ Welcome to One of a Kind Unique Luxury View Estate with in City of Walnut. PRIVATELY GATED ESTATE ON THE PEAK of SNOW CREEK with 3.5 Acre Lot Over Viewing Unobstructed 300 Degree VIEWS. 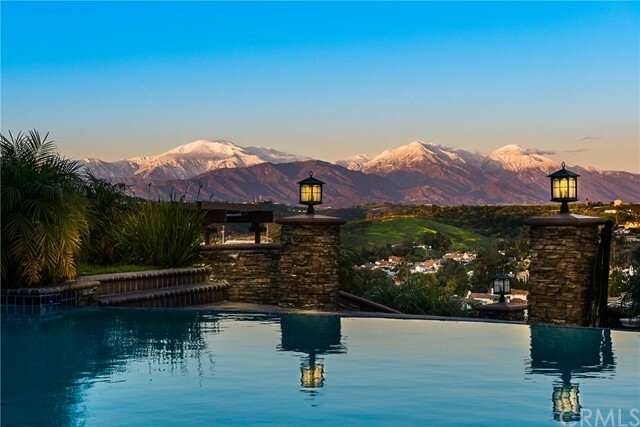 Relaxing Views of the San Gabriel Snow Mountains, Valley, and City. Property Located in between 2 ends of Cul-De-Sac Street (Room for Horses, Guest House or Sports Court). At Every Glance with Breathtaking Views to Enjoy from its 1300 Sq.Ft. (Total of 7 ) B"
"Emerald Hills Estates CUSTOM DREAM HOME built for ENTERTAINING! Welcome to 7000 SQ.FT of living: OPEN LAYOUT, VAULTED CEILINGS, stunning FRENCH DOORS and PICTURE WINDOWS boasting scenery from OVER 36,000 SQ.FT (0.83 AC) LOT. Double doors open to dramatic DUAL STAIRCASE and MARBLE ENTRYWAY. 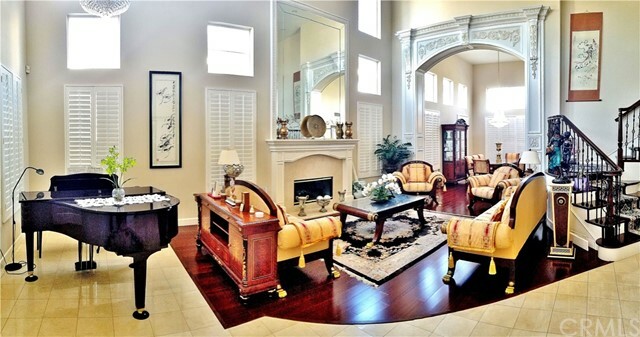 Luxurious MARBLE FLOORS, GRANITE COUNTERS and CROWN MOULDING throughout. 1ST FLR guest bedroom suite w/ JACUZZI is one of 6 BEDROOM SUITES. 1st flr also hosts glamorous FORMAL LIVING ROOM, 2 FIREPLACES, DINING"
"Nested in an Awarding Winning, 24-hour private patrolled Three Oaks Community, this home offers Stunning Panoramic Forever Views of City& Mountain. Miles of community trails provide a healthy life style. The master suite faces the backyard with a balcony for fabulous mountain views. There are two bedrooms downstairs, each with their own baths. Convenient upstairs laundry room is close to three other bedrooms each with bathrooms. 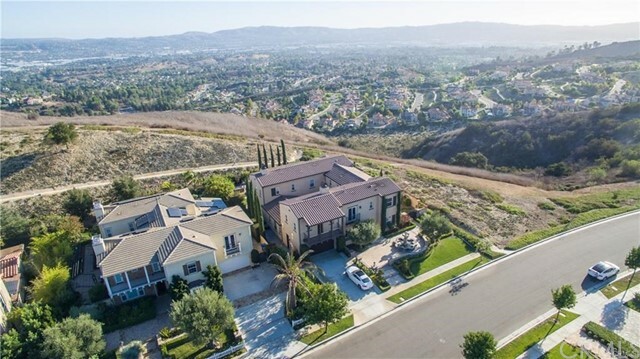 Modern kitchen opens to family room & expanded conservatory creates"
"Stunning City Lights and Mountain Views from this 5,281sf estate situated on a 13,312 sq ft Fully Landscaped Flat Lot within one of the most prestigious communities in the city of Walnut. 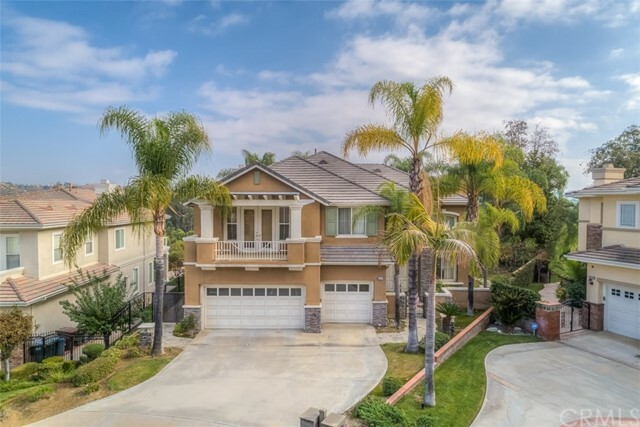 Perched on the highest elevation street here in Three Oaks, the stunning Panoramic City Lights View from the backyard makes this home one of the best view homes in the whole city of Walnut. 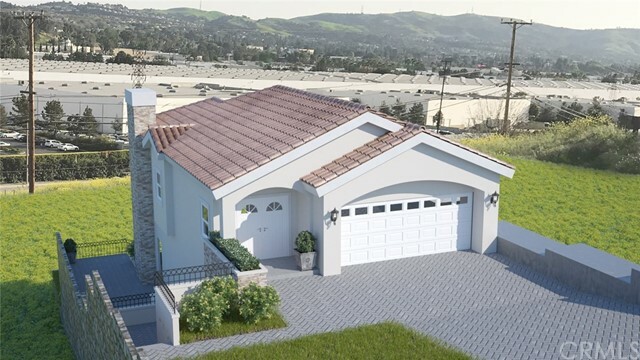 Three Oaks is the hip & elite neighborhood in Walnut built by Standard Pacific Homes, a builder known for quality, design "
"Every amenity you can dream of, can be found in this luxury estate. Over four acres of privacy with magnificent sparkling views. A true entertainers home, welcomes you in every room. Over 4-acres of spacious green grounds, a huge pool and spa, deluxe aviary, horse stables, fire-pit, mature fruit trees and a flat pad with plenty of room for a tennis court or possibly a guest house and room for more. Warm and inviting traditional architecture, etched glass entry doors, gourmet kitchen. Located in "
"Exquisite Luxury Magazine Home! Located in the exclusive Walnut Three Oaks Community. The house offers panoramic city view and mountain scene. The owner spent tons of money and effort on house upgrades, landscaping and designing. A beautiful roof-covered gate in the front yard provides extra security and privacy. The backyard has timeless design of built-in BBQ station, sink and a powerful restaurant version cooktop, built-in fireplace, fountains and a nice patio with lighting. The interior desi"
"Well kept home nestled in the Three Oaks Community with Walnut Unified School District. This home has outstanding views of the mountains. The home provides ample space for a growing family. The first floor has a den area that can be used as a office space. The backyard is perfect entertainment / gathering area with its own private cozy pool. The home provides you with great views of city lights and the mountains." 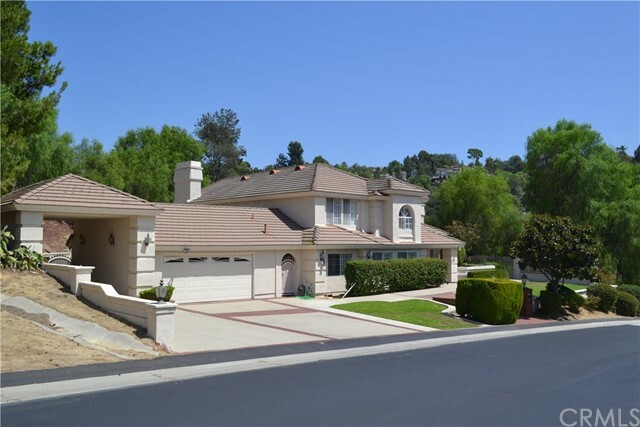 "Elegant executive property in the Three Oaks Community of Walnut has a beautiful 180 degree City Lights and Mountain Views. This beautifully crafted exquisite executive estate features 4 bedrooms, 4 1/2 bathrooms, with 4,298 sq. ft. and an 11,265 sq. ft. lot. of high quality design and craftsmanship One Bedroom with Private Bath Downstairs, High Ceilings, Upgraded Hardwood Flooring, Formal Entry, Living Room, Powder Room; Outdoor Courtyard that Features a lovely Water Fountain; "
"Welcome to prestigious Three Oaks Community in the city of Walnut. 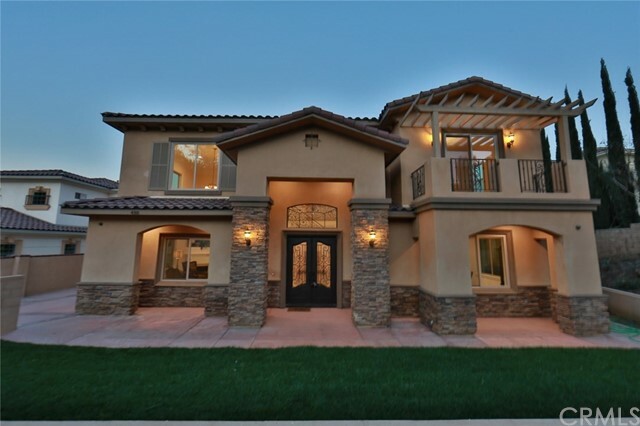 This luxurious and stunning home is a highly desired single story floor plan on an extra large 19,602 sqft corner lot. 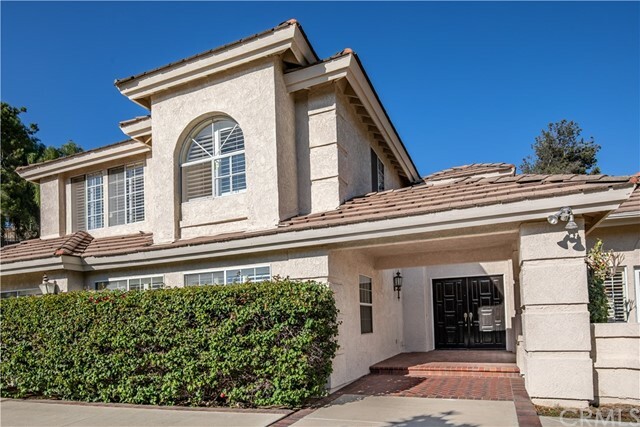 Spanish-inspired architecture with center courtyard, extra high ceilings, graceful archways, crown moulding, recessed lighting, and custom $250,000 yard. Custom yard features mountain and city views, private patio, 9 hole putting green, heated pool, and spa with water fountain. Save energy throughout the year wit"
"Convenient Location, minutes to freeway, Asian Markets, Super Markets, gas stations, Libraries. No HOA fee. magnificent house with great view, during the day, there is canyon view, you can see miles away, at night, you can see all the warm lights of the neighbor houses. Big, big backyard with beautiful Gazebo, sitting in the Gazebo during the day or night is a great pleasure. The master bedroom upstairs, with a large balcony, sitting on the balcony, having a breath of the fresh air, is a great e"
"VIEW! VIEW! VIEW!!! Spectacular 270 Degree Panoramic City Views. Fabulous soft contemporary charming property with tasteful details & quality materials! HOME is located in quiet, private & safety prestigious Belgate community, Award winning Walnut school district*** . This home features 4 bedrooms, 4.5 bathrooms + 1 private guest bonus room in downstairs, 3,696 sqft living space with 70,129 sqft huge Lot. 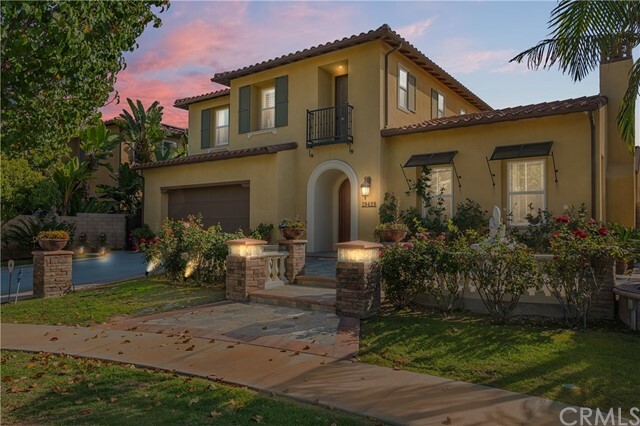 Front entry includes manicured landscaping, a foyer with high ceilings and a dramatic stai"
"This single-family home is located in a quiet, tree-lined street in Walnut, a city with one of the best school districts throughout Southern California, Walnut Unified School District. This beautiful 5bed, 5 bath, 1 bonus room upstairs. 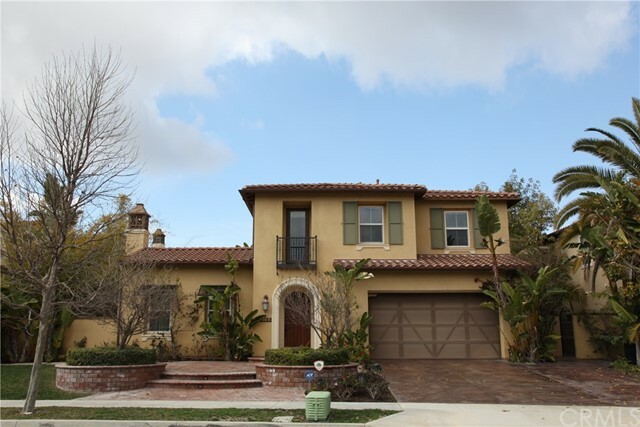 4,046 sqft two story home is situated on a spacious 13,586 sqft lot. Solar System on the roof. 3 Parking space garages. Enter inside to an open living room w/ fireplace and be greeted by high ceilings, a beautiful unique and practical twin staircase leading to up"
"First time this house has been on the market since 1990! 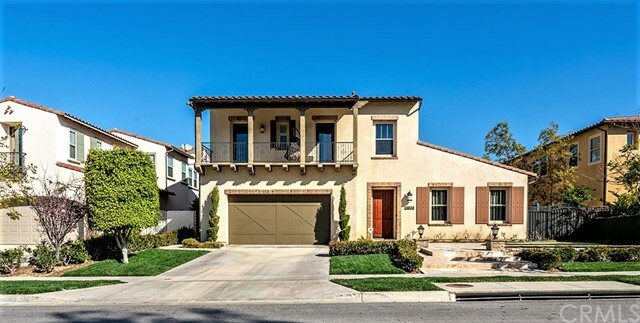 This lovely two story home is perfect for any kind of family. There is a large bedroom on the first story with a formal dining room, living room and great entertainment area. The second story has plenty of rooms and space, every room is large and has a great flow. The backyard is flat and absolutely stunning! There is a 270 degree view that is the best view in the entire community!" "Three Oaks is the it neighborhood in Walnut built by Standard Pacific Homes, a builder known for quality, design & building luxury estates. 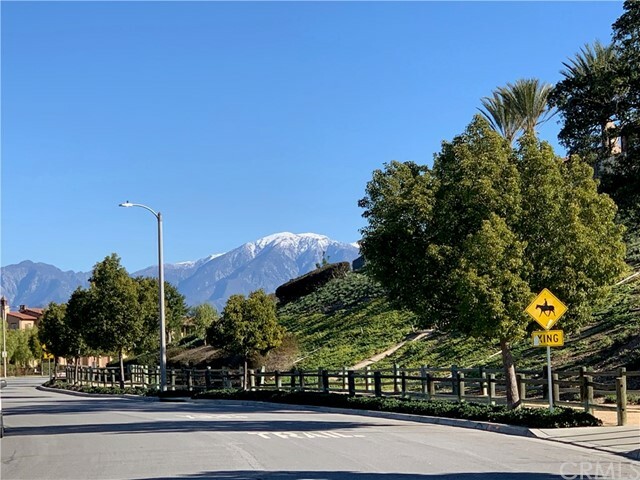 Stunning City Lights and Mountain Views makes this home a dream come true within one of the most prestigious communities in the city of Walnut. You'll enjoy clear views from sunrise to sunset & it's just amazing it'll take your breath away." "Prestigious Walnut house located in the Three Oaks Community with a 180-degree view of the mountains and city lights! 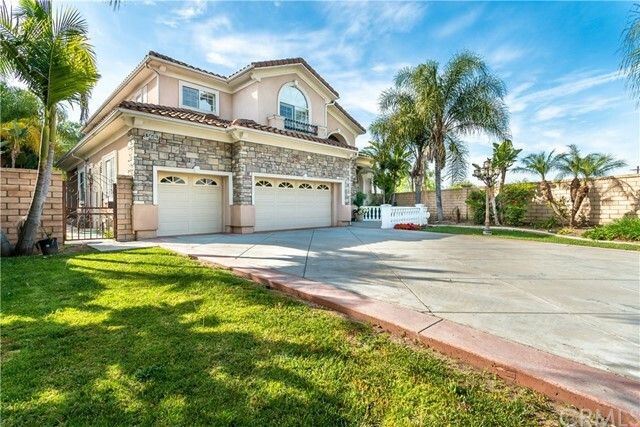 This beautifully landscaped and upgraded home features 5 bedrooms and 5 bathrooms. There's plenty of space for entertainment with the large family room, living room, and 2 kitchens. The separate Eastern-style kitchen keeps the grease and oils contained while the Western-style kitchen offers a double oven, a microwave, and a large island with granite counter tops throughout. The d"
"View,View, View! Rare opportunity to own a home with view on the top of famous three oaks community in City of Walnut! This is the first time that his house on the market since the owner purchase it from the high quality builder CalAtlantic in 2009. The house is pretty much ready to move in.The owner keeps everything clean and puts lot of upgrades through out the house, and yard! 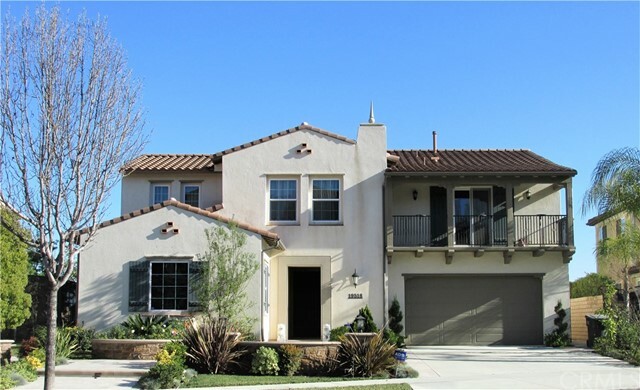 This is the most high end community you can find in city of Walnut. 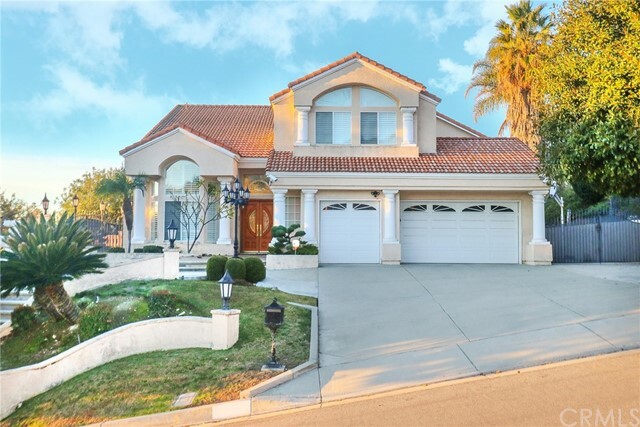 convenience to access highway, and near rowland h"
"You ll approach an exquisite driveway w/an automatic iron gate that separates you from the beautiful 5 Beds, 5 1/2 Baths, 5,140 sqft home & 21,295 sqft estate below. Down a private driveway w/vintage post lights & over red bricks to a spacious courtyard & attached 3 car garage w/direct access and a storage shed on the side. Through the glass iron double doors, you ll stand in an elegant open entry w/ 2-story high ceilings & a beautiful cast iron staircase leading to"
"Located on Skyline Drive at the top of the most prestigious Belgate community lined with elegant & beautiful custom homes, best rated Walnut schools, a glorious 5BR, 4.5BA, 3,904sf living space, superb & custom moldings, the fine wood works heighten the tall ceiling of the chandeliers cladded living & dining room, delectable rich wood & wrought iron staircase, wood & stone combo flooring, large master bedroom balcony offers a panoramic view, custom library & entertainment center, wood shutters t"
"This brand new Custom-built contemporary Masterpiece perched on an almost 20,000 sqft lot, featuring panoramic mountain view & city lights view in the Award Winning Walnut School District. Walnut has been selected as one of the top 50 cities to live by CNN magazine & the best city to raise family and kids. Resting on a quiet Cul-De-Sac, a private paved driveway leads you to this open concept French Style estate. Wrought iron spiral staircase railing & soaring ceiling with double chandeli"
"LOCATION, LOCATION, LOCATION. 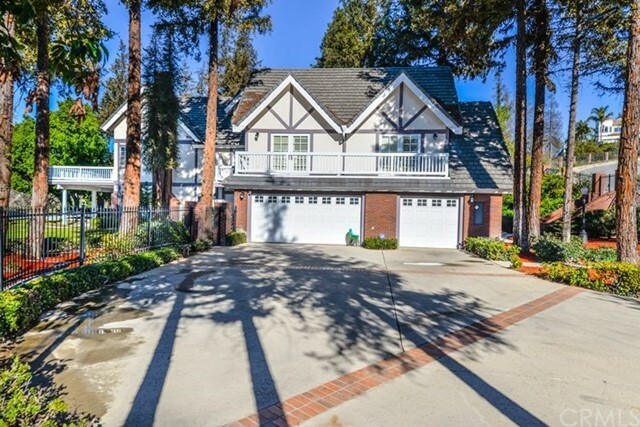 ABSOLUTELY GORGEOUS HIGH TECH LUXURY HOME IS IN THE BEST LOCATION OF WALNUT. MAHOGANY ENTRY DOOR. MARBLE AND HARDWOOD FLOORING THROUGHOUT THE DOWNSTAIRS. VERY OPEN FLOOR PLAN WITH 5 BEDROOMS + OFFICE AND 5 BATHROOMS (ONE BEDROOM WITH FULL BATHROOM DOWNSTAIRS PLUS OFFICE). HUGE LIVING ROOM WITH HIGH CEILING AND FIREPLACE. FAMILY ROOM WITH FIREPLACE AND OPEN TO THE KITCHEN. BRAND NEW UPGRADED GURMET KITCHEN WITH GRANITE COUNTER TOP, NEW STAINLESS STEEL APPLIANCE AND L"
"Looking for a brand new home and the best schools for your kids? Here you are! 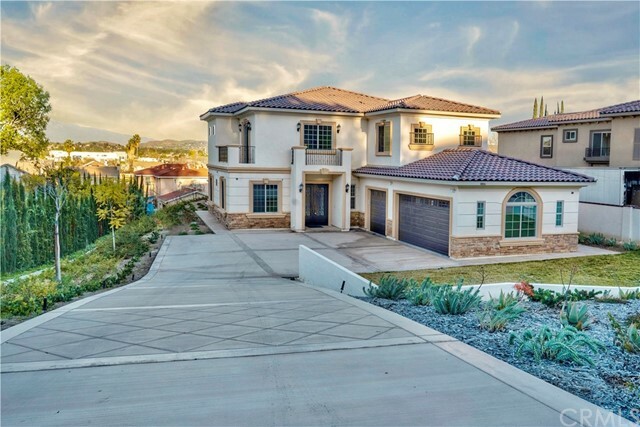 This stunning brand new custom-built two-story luxury estate is located in a secluded Cul-de-Sac in the Award-winning Walnut School District, highlighted by its Panoramic city lights view & mountain view. Walnut has been selected as one of the top 50 cities to live by CNN, MONEY magazine & the best city to raise family and kids. 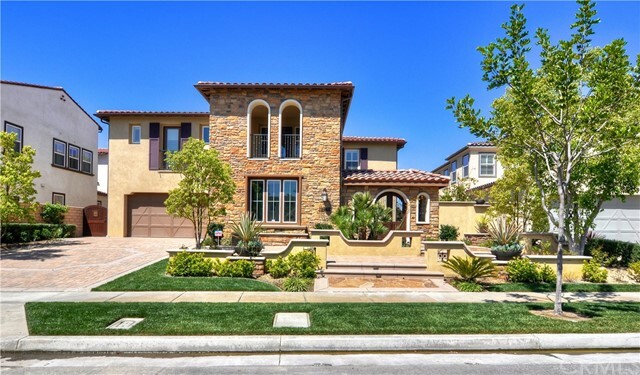 This one-of-a-kind Mediterranean Architecture style luxurious home featuring 5 bed"
"LOCATION! LOCATION! LOCATION! New Construction being built with tentative completion date mid August of 2019. Most sought after Walnut Valley School District. Front entry has 4,000 square footage space with 2 car garage attached and at 8 cars parking space by front house . Wood floor, granite counter top on center island, 4 Master Rooms. Peaceful panoramic view with no obstruction especially at night time..."
"*** Gorgeous*** Over One Acre Lot. Semi Custom Built Home with SuperWide Frontage and Huge Covered RV Easy up to 9+ Car Parking located in the Luxury Sunset Ridge Community it features 5BD ( 1 Down ) , 4BA ,1 Huge Multi-Utility Room ( can be Movie Theater, Game Room or GYM ) and 1 Study/ Office both with Separate Entrance, High Ceiling Formal Living Room with Fireplace and Dining Room, 2 Kitchens, Family Room W/ Fireplace, Breakfast Nook and 1 Japanese Tea Room. With Spiral Staircase leads to "
"~ $ Reduced ~ *** Gorgeous*** Over One Acre Lot. Semi Custom Built Home with SuperWide Frontage and Huge Covered RV Easy up to 9+ Car Parking located in the Luxury Sunset Ridge Community it features 5BD ( 1 Down ) , 4BA ,1 Huge Multi-Utility Room ( can be Movie Theater, Game Room or GYM ) and 1 Study/ Office both with Separate Entrance, High Ceiling Formal Living Room with Fireplace and Dining Room, 2 Kitchens, Family Room W/ Fireplace, Breakfast Nook and 1 Japanese Tea Room. With Spiral Stair"